There's a new name in luxurious three-wheelers—and yes, that's a real market. What’s New: The Carmel is an all-new model for 2019. It resembles the Venice in the sense that it has three wheels, two seats, and a similar body, but it comes well-appointed with some luxurious features that you might be surprised to find in a vehicle with three wheels. One of the most distinct things about the Vanderhall Carmel is its ability "to accommodate a removable canvas cap shade." Unfortunately, we don’t have any shots of what that looks like in this early preview photo set, but it sounds like it’s the next best thing to an actual roof and the idea reminds us of the Slingshade that comes standard on the Polaris Slingshot Grand Touring. 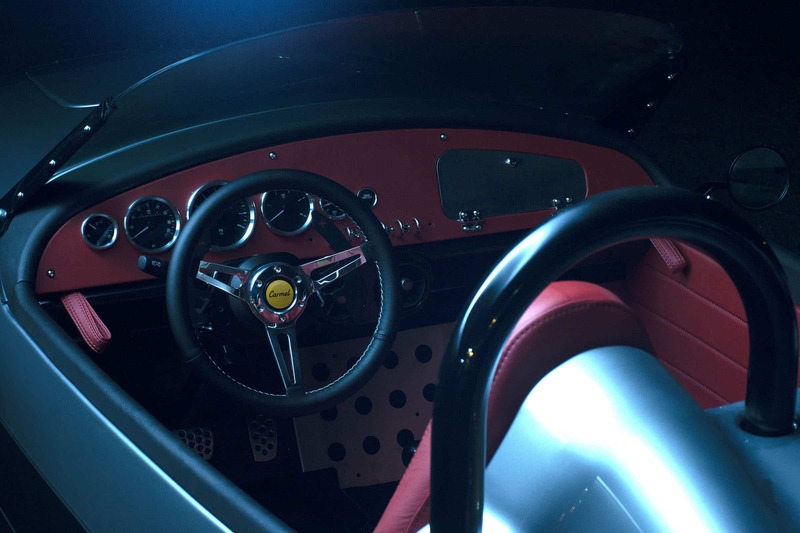 And Unlike the Vanderhall Venice, he Carmel also has actual doors. See, luxury. But there’s a lot more to the Carmel's appointments: it also comes with heat, heated seats, a Bluetooth-enabled sound system, LED lighting all around, a wooden steering wheel, tan V-Tex upholstery, and 19-inch wheels. A couple of mechanical perks include dual servo ABS brakes, traction control, and electric power steering. 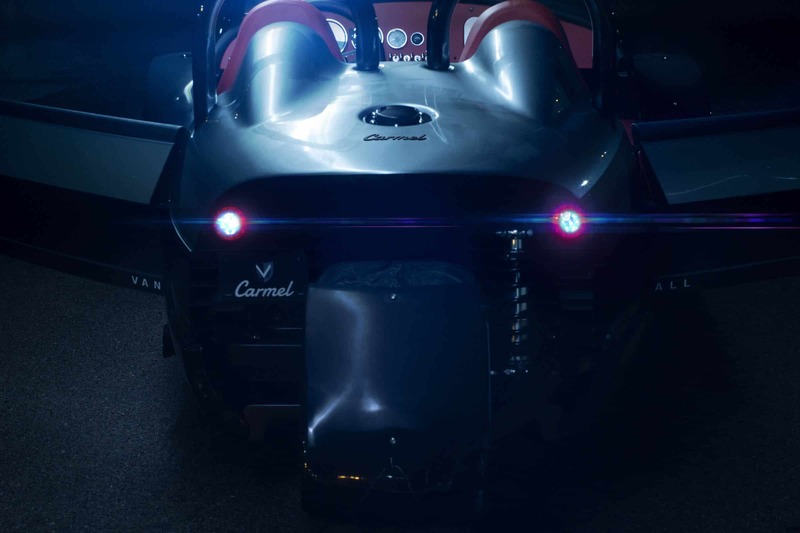 The Carmel is powered by an aluminum block turbocharged 1.5-liter inline-four sourced from General Motors which makes 200 horsepower and 203 lb-ft of torque. 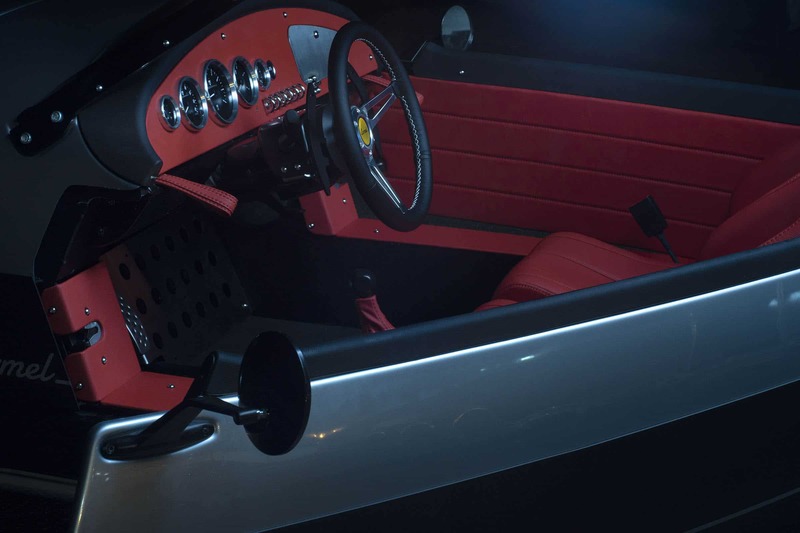 Vanderhall claims a 0-60 mph time of 4.5 seconds and a top speed of 138 mph. That’s a decent performance upgrade over the 1.4-liter turbo-four in the Venice. Quotable: “The Vanderhall Carmel brings more luxury and convenience to the Vanderhall lineup. With front entry doors, a wider cabin and provisions to accommodate a removable canvas cap shade, the Carmel promises additional class and comfort for your journey,” says Vanderhall of the new Carmel. What You Need to Know: All of that three-wheeled luxury won’t come cheap. 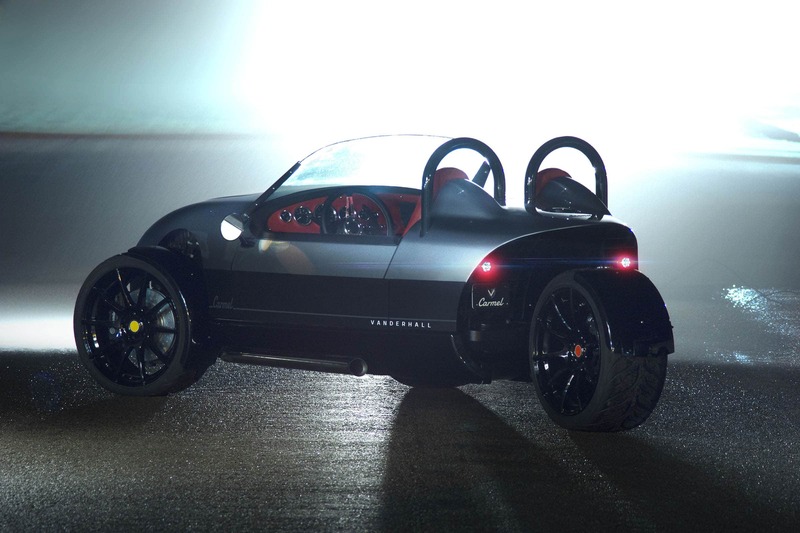 This thing has a starting MSRP of $39,950 making it the most expensive vehicle Vanderhall offers. 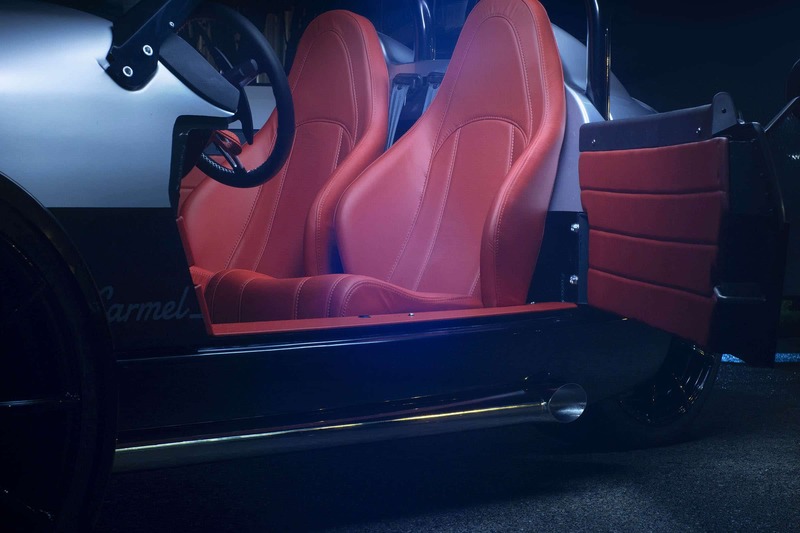 It’s arriving in 2019 and if you want one, you can put down a $1,000 deposit now to be one of the first people to have a Vanderhall Carmel in your garage. Is the Carmel worth that kind of money? With reasonably fancy appointments and a performance upgrade over lesser Vanderhalls, it’s a solid “maybe” if you're looking for something unique like this. Consider the fact that there are luxury touring motorcycles with higher price tags. At least with the Carmel, you have the luxury of doors. This roadster has one seat, three wheels, and a starting price of $26,950. The Venice is an American-made three-wheeler for American tastes. Four distinct trims make up a diverse 2019 lineup for the bold three-wheeler. Can The Vanderhall Laguna Cure Automotive Cancer?